These volumetric flasks are made of borosilicate glass. Each flask includes a solid glass stopper. 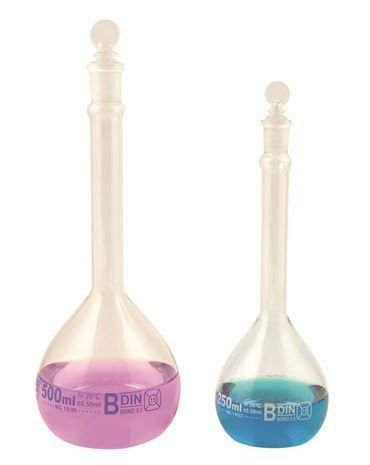 Each flask also has a blue graduation mark for easy measurements.